The place to eat, shop and enjoy yourself in the heart of Pembrokeshire! Our independent retailers sell everything from local art and beauty products, to fashion and food, so call in to treat yourself or find a perfect gift! Enjoy delicious eats at a whole host of independent cafes and restaurants, ready to tickle your taste buds with local produce. Events, ten pin bowling, soft play, mini golf, craft workshops and plenty of fresh sea air are all here for you to enjoy on your visit. Visit the award-winning Milford Haven Museum and delve into the fascinating history of our town, or discover the heritage of Milford Haven on a guided boat trip. Want to receive the latest news, events and promotions from us? Here at Milford Haven, we’re building a future upon our history and creating a vibrant waterfront destination to welcome the world. Fashion boutiques and fine dining, high-octane watersports and culture are anchored alongside international maritime trade and our salt soaked heritage at Milford Waterfront. 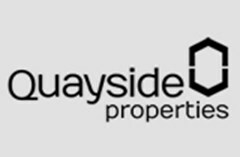 Our vibrant multi-million pound Milford Waterfront Development ensures that we continue to provide visitors who travel here by land and sea with a first rate leisure experience. From boutique shopping, leisurely coffees with a great view, delicious eats, boat trips, a museum, bowling alley and beauty salons, there’s something for everyone. Over the coming years our flagship marina and waterfront facilities will continue to evolve with the addition of hotels, event spaces, cultural hubs and fine dining restaurants. These will complement our existing offer and provide additional facilities to celebrate the arts, culture and heritage of the area. Check out the latest Berthing Promotions at Milford Marina! Milford Waterfront is a fantastic location for events and activities, and we have a lots on for the whole family. Street Food Festivals, Sunset Cinema screenings, pop up skate parks, open mic nights, wedding fayres, sailing events, pony rides, craft workshops and face painting are all among the really good reasons to visit us through the year! 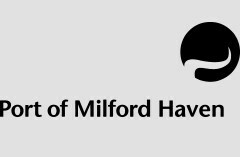 Plus our waterside businesses and the local community also choose Milford Waterfront for their events and celebrations. There are lots of exciting plans to complement the existing offer at Milford Waterfront and celebrate the arts, culture and heritage in Milford Haven.